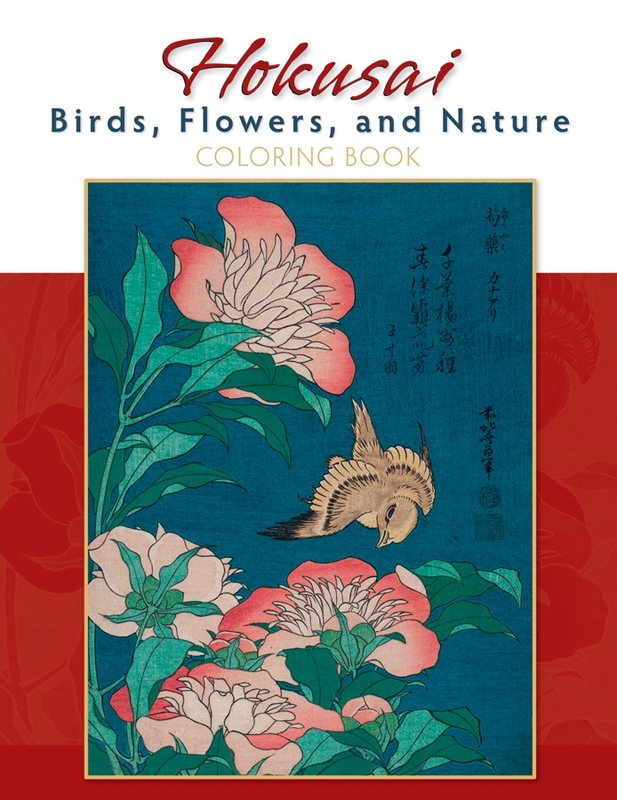 The woodblocks included in this coloring book are mostly from two untitled series of Hokusai’s prints called Large Flowers and Small Flowers. They were created by carving a separate woodblock for every color and then printing them on top of each other to create a single complete image. When you color the images, try to imagine the temperature and moisture in the air, the smell of the flowers, and the sounds of the birds. These are the things Hokusai tried to express, even though they are invisible. 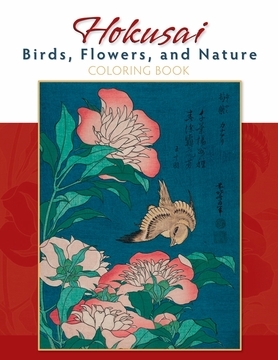 The 22 woodblock prints in this coloring book are shown as small pictures on the inside front and back covers. You might want to copy their original colors or you might decide to use your own. 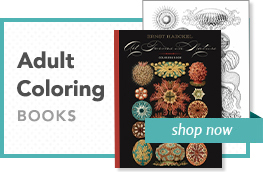 We’ve left the last page of this book blank so that you can draw and color a picture of your own.